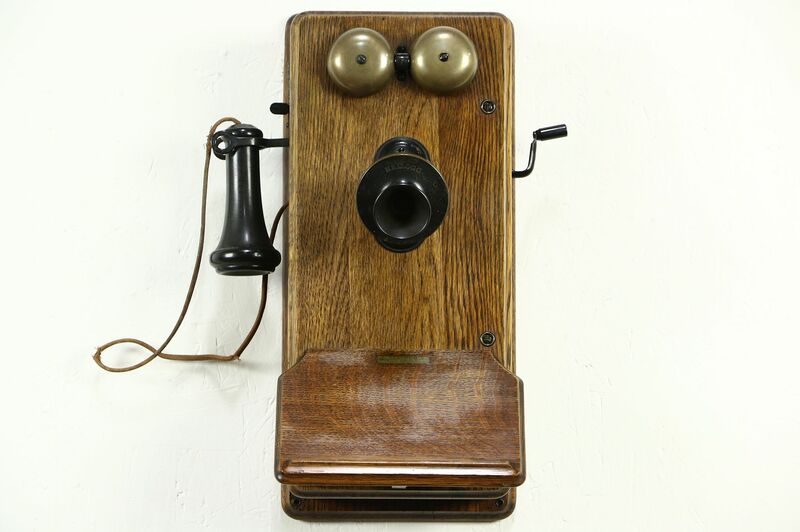 Signed "Kellogg" in the early 1900's, a solid oak wall phone has a working generator. The old finish has wonderful warm patina, waxed and buffed so all that is needed to maintain the soft luster is an occasional wipe with a dry cloth. Size of this American made antique is 13" wide by 8" deep by 19" tall.